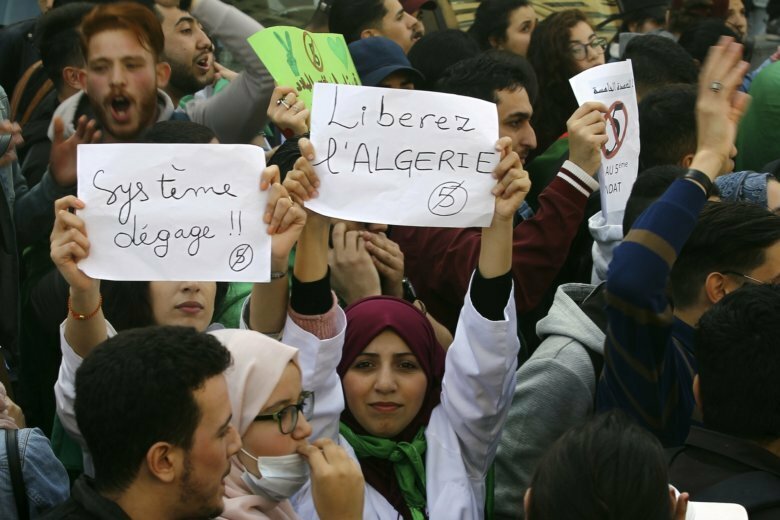 ALGIERS, Algeria (AP) — Algerian students are gathering for new protests against President Abdelaziz Bouteflika’s decision to seek a fifth term, calling for a general strike if he doesn’t meet their demands this week. Responding to Algeria’s biggest protest movement in years, Bouteflika released a statement Sunday that if he’s re-elected, he would hold a referendum on a new constitution and call an early election in which he wouldn’t run. The 82-year-old Algerian leader hasn’t been seen since the protests began. He was in Switzerland last week for what has been described as medical tests.